Rock The Playhouse Benefit Concert! « Valentine’s Round with Host Danny Stravers & Friends! 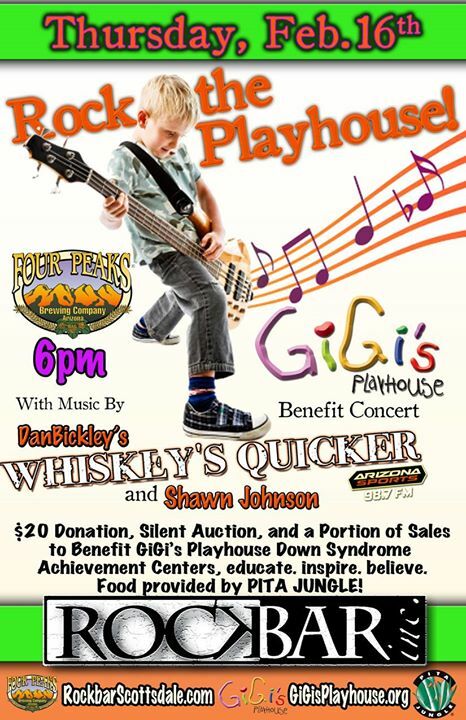 Four Peaks Brewing Co. and Rockbar inc. present a Benefit Concert supporting GiGis Playhouse Phoenix/Scottsdale’s Playhouse Down Syndrome Achievement Centers! $20 Donation, Silent Auction, and a portion of sales will be used to support thousands of families through their organization! GiGi¹s Playhouse is all about achievement, belief and confidence. Serving children and adults of all ages, Playhouses across the country offer 30 educational and therapeutic programs at no charge to families. All programs aim to maximize self-confidence and empower individuals to achieve their greatest potential. Our literacy program alone teaches thousands of kids with Down syndrome to read every year! Founded by GiGi¹s Mom in 2003 as a single location in Hoffman Estates, IL, GiGi¹s Playhouse has grown into a strong network of 18 Playhouses. 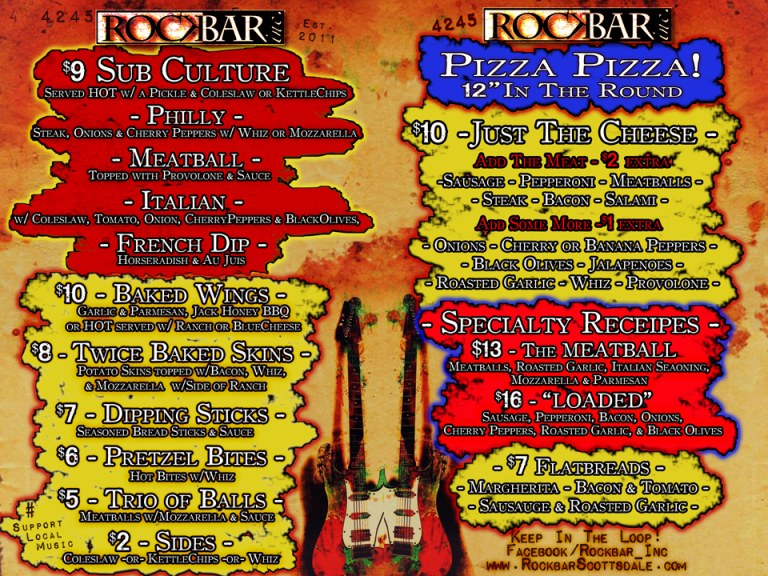 Phoenix will be the 21st location in the country. Our distinct locations, no-fee programs, and positive energy help support thousands of families every single year. With that said, helping children and adults at GiGi¹s Playhouse extends beyond the Down syndrome diagnosis. Our global message is acceptance. If you believe in a kinder and more accepting world for everyone, GiGi¹s Playhouse is a place for you. If helping kids and adults pursue their education and wellness is important to you, GiGi¹s Playhouse is a place for you.